Below you fill find all funeral homes and cemeteries in or near Norwalk. Suburbs of Norwalk: Churchville, Lakewood. Norwalk is also known as: Warren County / Norwalk city. Zip codes in the city: 50211. Some of the notable people born here have been: Brandon Routh (actor and model). 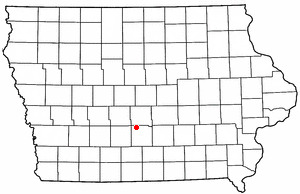 Norwalk is a city in Warren County, with some small portions extending into in Polk County, in the U.S. state of Iowa. The population was 8,945 at the 2010 census. The city is part of the Des Moines–West Des Moines Metropolitan Statistical Area and is located just south of the Des Moines International Airport. It was written by Des Moines Register on March 27th, 2019 that Kay Pyle passed away in Norwalk, Iowa. Pyle was 82 years old. Send flowers to express your sympathy and honor Kay's life. It was revealed by Des Moines Register on March 24th, 2019 that Doris Vanwinkle died in Norwalk, Iowa. Vanwinkle was 98 years old and was born in Chicago, IL. Send flowers to express your sorrow and honor Doris's life. It was reported by Des Moines Register on March 10th, 2019 that Lorraine D Hoops passed on in Norwalk, Iowa. Hoops was 92 years old. Send flowers to share your condolences and honor Lorraine D's life. It was noted by Des Moines Register on February 24th, 2019 that James L Hawkins perished in Norwalk, Iowa. Hawkins was 84 years old. Send flowers to express your sympathy and honor James L's life. It was noted by Des Moines Register on February 21st, 2019 that Gloria Jean Miller perished in Norwalk, Iowa. Miller was 86 years old. Send flowers to express your sorrow and honor Gloria Jean's life. It was reported by Des Moines Register on February 14th, 2019 that Josephine "Jo" Jones (Biddle) passed on in Norwalk, Iowa. Ms. Jones was 86 years old. Send flowers to express your sorrow and honor Josephine "Jo"'s life. It was revealed by Des Moines Register on February 13th, 2019 that Curtis James Lankford passed on in Norwalk, Iowa. Lankford was 74 years old and was born in Dewitt, MI. Send flowers to express your sympathy and honor Curtis James's life. It was revealed by Des Moines Register on February 3rd, 2019 that Daniel Smith passed away in Norwalk, Iowa. Smith was 58 years old. Send flowers to express your sympathy and honor Daniel's life. It was reported by Des Moines Register on January 20th, 2019 that Luckey James Searcy passed on in Norwalk, Iowa. Searcy was 76 years old. Send flowers to express your sorrow and honor Luckey James's life. It was disclosed by Des Moines Register on January 13th, 2019 that June Elizabeth Berry (Terry) perished in Norwalk, Iowa. Ms. Berry was 80 years old. Send flowers to express your sympathy and honor June Elizabeth's life. Norwalk is a city in Polk County, Iowa and Warren County, Iowa counties in the US state of Iowa. The population was 6,884 at the 2000 United States Census census. The city is part of the Des Moines, Iowa Moines–West Des Moines, Iowa Des Moines Des Moines metropolitan area Statistical Area and is located just south of the Des Moines International Airport. It is the hometown of actors Brandon Routh, star of the film Superman Returns, and Jason Momoa, star of the television show Stargate Atlantis Atlantis. . The official website for the city of Norwalk is http://www.ci.norwalk.ia.us. CALICCHIA MARSHALLTOWN - Romoeo G. Calicchia ... and Peggy Feltus and her husband, Dan, of Allison, Iowa; several nieces and nephews; and one great-nephew. Fullerton Schumburg Funeral Home, (515) 756-3311.
at Linns Funeral Home, 1521 Washington Ave. Iowa Falls, followed by a time of visitation from 5:30 to 7 pm. Memorials may be directed to the family c/o her son; Bruce Campbell, 1944 Swan Court, Norwalk, IA, 50211. We work with local florists and flower shops to offer same day delivery. You will find budget sympathy flowers in Norwalk here. Our funeral flowers are cheap in price but not in value. What Happens to Uncollected Ashes?